CLOSER PICTURES, a film production company dedicated to producing film and TV content that is locally set – and globally appealing, is committed to telling stories as Africans, for Africans both in the continent and in the diaspora while promoting African culture and values to a global audience. The newest production from Closer Pictures, “FALLING“, was produced by Uduak Isong Oguamanam and directed by Niyi Akinmolayan. “Falling” is a highly emotional and thought provoking drama which touches on the subject of love, marriage, commitment and devotion. A young couple are happily married and well in love until their ‘for better for worse’ vow is put to the test when the husband suffers a terrible accident which leaves him in a coma for months. Torn between holding on to faith and pulling the plug on her husband, the woman turns to the doctor for comfort; an action which consequences will change their lives and threaten to destroy the happy marriage she had. Amongst the cast is an array of fast rising stars as well as veterans including Adesuwa Etomi, Blossom Chukwujekwu, Kunle Rhemmy, Kofi Adjerlolo and others. 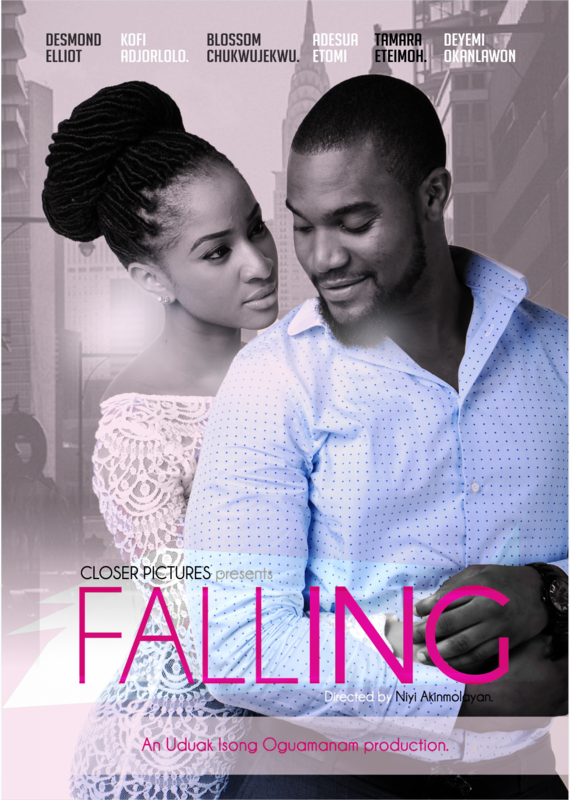 FALLING will premiere on the 18th of September, 2015 at the Silverbird cinemas, Lagos.